Do you feel you need training in ICD-10 but you don't need a full course? Then this ICD-10-CM Review Blitz Component is just for you! This is the perfect way to review, refresh, refine your ICD-10 skills. You need this ICD-10 CM Review Blitz Component if you're a certified or non-certified medical coder and you still aren't 100% confident in your ICD-10 knowledge. 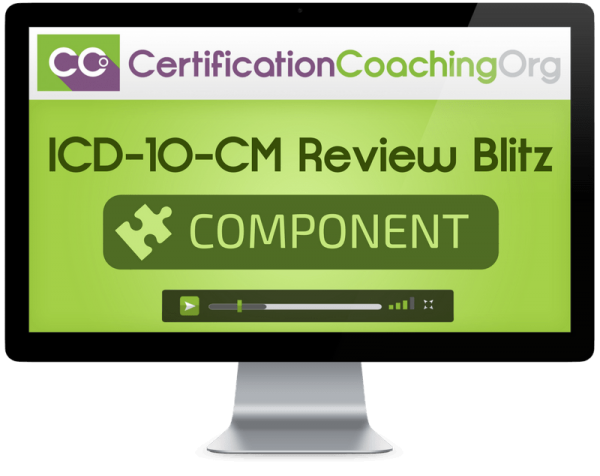 Instead of taking a long detailed full ICD-10-CM course that covers topics you already know, you can invest in this shorter Review Blitz Component to refine your existing ICD-10-CM skillset and learn essential shortcuts to get the job done. And in case you're wondering, yes! This is the perfect Review Blitz Component to bridge the gap from ICD-9 coding knowledge to ICD-10-CM knowledge. 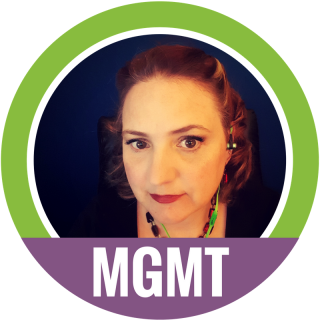 How Can The ICD-10-CM Review Blitz Component Help? Your instructor will cover each ICD-10 section. That's 8 modules and over 20 hours of video training. All videos are available 24 hours a day, 7 days a week for self-paced study. We've also included access to ICD-10-CM Decision Trees that will make it much easier to pick the correct ICD-10-CM code. We think this is a pretty big deal that will make your job much easier. Want to see ICD-10 in action? Great, because we've included some good old fashioned case studies. We provide one case study inside each one of our 8 modules to help drive the lessons home. We have a whole lot of extras for you. We have gathered ICD-10 content from our YouTube channel and the Q & A webinars we present monthly. We have included it in this review for easy access. We include an ICD-10-CM practice exam with full rationales. So as soon as you take this practice exam, you're going to get instant feedback with detailed answers and explanations. If you still have questions during the Blitz Review or practice exams, it's not a problem. Go to the Help Desk Request link in your membership area and ask your coach for assistance. Invest In The ICD-10-CM Review Blitz Component Today! Is there a textbook included for the ICD-10-CM Review Blitz Component? When will the Review Blitz Component be available for viewing? This Review Blitz Component is already complete and live. You can watch them immediately after ordering. We recommend this for certified coders but if you have a solid coding background you would be fine to take this Review Blitz Component.